In 1968, Science published the now-famous paper “The Tragedy of the Commons” by ecologist Garrett Hardin. In it, Hardin questioned society’s ability to manage shared resources, concluding that individuals will act in their self-interest and ultimately spoil the resource. Host Meagan Cantwell revisits this classic paper with two experts: Tine De Moor, professor of economics and social history at Utrecht University in the Netherlands, and Brett Frischmann, a professor of law, business, and ... See More economics at Villanova University in Pennsylvania. They discuss how premodern societies dealt with common resources and how our current society might apply the concept to a more abstract resource—knowledge. Not all human skulls are the same shape—and if yours is a little less round, you may have your extinct cousins, the Neanderthals, to thank. 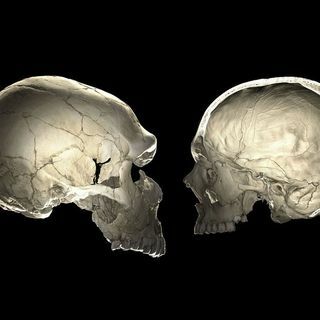 Meagan speaks with Simon Fisher, neurogeneticist and director of the Max Planck Institute for Psycholinguistics in Nijmegen, the Netherlands, about why living humans with two Neanderthal gene variants have slightly less round heads—and how studying Neanderthal DNA can help us better understand our own biology.